Our passion is to design and make truly considered, beautifully crafted contemporary products and furniture. We combine a love of the mid-century modern design aesthetic and an understanding of elegant simplicity. Using traditional techniques combined with innovative technology and materials we create exciting limited run pieces. Made By 68º is a London based design and maker studio. 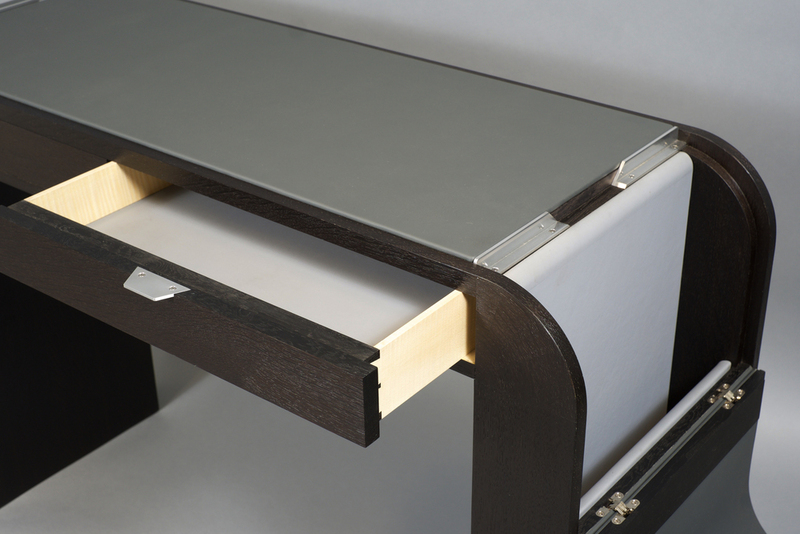 We specialise in bespoke and limited run, beautifully crafted contemporary handmade furniture. Combining both modern and traditional techniques and materials to create exciting and alluringly elegant products and furniture. Made by 68° is the London based design studio established by Richard Warmisham in 2014. Richard studied fine-furniture making and design at Robinson House Studio with Marc Fish. beautifully crafted contemporary products and furniture. He combines his love of the mid-century modern design aesthetic and an understanding of elegant simplicity to create visually stunning pieces. Award winning designer and founder of Crab Creative Costas Michalia has joined the team at Made by 68º. He brings a wealth of maturity and with over 20 years experience in the design sector ensures Made by 68º continues to push boundaries and produce beautifully designed contemporary furniture. Commissioning arises from the creative recognition that the perfect solution does not yet exist. With a bespoke service every project is unique and the starting point is always the client's brief. complexity, can be tailored to meet their expectations. Our initial meeting is one of exploration and investigation. Our clients are private individuals, designers, architects and construction professionals, so we understand just how important it is to foster a collaborative approach that is based on clear communication and creative problem solving. undertaken several commercial projects including bespoke pieces, office and retail spaces, exhibitions and art installations. and useful Apple Pencil Case. Each product is developed in cycles, allowing the team to refine the idea and test each product, this ensures that the final execution is not only fit for purpose but is a joy to use.